Modulab is a multi-disciplinary platform that promotes research and development of new means of expressivity through technology. Within its own research program, Modulab team created, seven years ago, the first holographic projection, and also the first haptic multi-touch screen, Tactil. In 2012 they brought 3D scanning and printing in the street at Street Delivery festival, where people could scan their faces and print their portraits in plastic. Modulab also co-produced the Romanian Pavilion at Venice Architecture Biennale in 2012. Last year they organized one of the first collaborative art project, which consisted in creating an organizational/conceptual frame for an interdisciplinary team to develop the interactive installations. Symbiomorphogenesis exhibition was shown in MNAC and Transilvania Architecture biennale. At Romanian Wesign Week Modulab launched its community oriented platform “Future Garden”, a modular educational platform for art, design and technology for all public categories. One of their interactive installations, FluO, is now on display at the National Museum of Contemporary Art, within “SenzArt” collective exhibition. interactive deisgn, new media, public art, electronic art, experimental art, interactive art, digital art, generative art, installations, bio art, bio hacking, DIY, digital fabrication, new technology, green techologies, transhumanism. 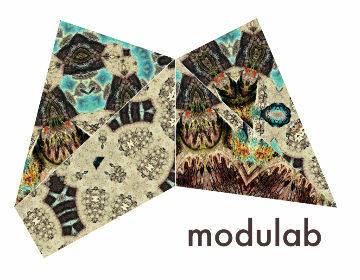 Locals in Bucharest have reviewd Modulab - Cultural centres in Bucharest. You can get here description, reviews, address, map, phone, website of Modulab in Bucharest. Visit Bucharest Tips for more Cultural centres in Bucharest!